Debra Saunders-White, 59, the first permanent female chancellor of North Carolina Central University, died of cancer Saturday. “The UNC system lost a great leader today,” said University of North Carolina President Margaret Spellings. “With the death of Deb Saunders-White, we also lost a valued colleague and friend. Deb loved NCCU with all her being and treated each of its students as her very own. She called them her light and her inspiration as she waged her battle with cancer. 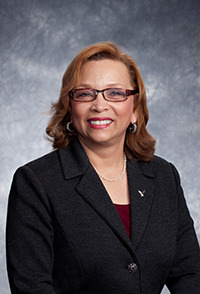 Saunders-White was named chancellor of the historically Black institution on June 1, 2013. She took a medical leave of absence on Aug. 8, 2015 after having been diagnosed with kidney cancer earlier in the year. Saunders-White, according to NCCU, lead the way in increasing the freshman-to-sophomore retention rate from 69.9 percent to 80 percent, offset budget challenges that had arisen as the result of then-declining enrollment; and grew enrollment by 4.3 percent for the 2015-16 academic year. Chairman of the NCCU Board of Trustees, George R. Hamilton, said Saunders-White’s death was a deep loss for him personally, and for NCCU.